how can I be a good manager? Long story short, I finished grad school about two years ago and started a company with a colleague. It has evolved into something much bigger and better than either of us anticipated. We now have three full time staff – another statistician (like us), a software developer, and an office/operations manager. We also have some part-time contractors. (1) Finding the right balance of casual, fun startup vibes but also making sure I command enough respect that people understand I have the final say. (2) Identifying my weaknesses/flaws that I might be entirely oblivious to. It’s hard to get honest feedback from such a small team, and I’m not sure how to best solicit it. Short of going back in time and getting some work experience before accidentally starting a company, how can I learn to be a solid, effective manager now? I talk with this letter-writer on today’s podcast. The show is 37 minutes long, and you can listen on Apple Podcasts, Google Play, Spotify, Stitcher, or wherever else you get your podcasts (or here’s the direct RSS feed). Or you can listen above. The first step is one that the LW has already taken: Realizing that management requires real work and real attention and nobody is a “natural.” Asking the question “how can I be a good manager?” is half the battle right there. This was my grand take away as well. One of my colleagues has no idea what it means to be a manager. One of their direct report’s work quality is awful and it’s not being addressed at all (I know things can happen behind the scenes but I know for a fact it’s not being addressed. It’s like manager in name only. I would also add that if it doesn’t already exist, come up with some fair way to determine if they are performing their work well. Create metrics that are as quantitative as possible but also open enough to account for instances that may fall outside of the norm. This may seem like “spying”, but it is not. It is allowing you to assess a job well done, where things are breaking down, and gives you the ability to show team improvements. If you cannot do this, look up some industry basics or base it on customer feedback. Honest communication and getting to know their strengths and weaknesses is also key as well I think. In fact, assuming we’re talking about an employee you trust, I’ve found that it can be helpful to ask them to log their own time for a week or two and share it with you. Especially if you’re a new manager and your report doesn’t do the exact same kind of work you do. When I was given a report to manage who was the only person in our department with a particular discipline, I eventually had her do this for me because it was kind of a mystery to me what an actual day in her life really looked like at a close-up level. I told her that she could round to blocks of 15 minutes, and it could be general descriptions like “Responding to emails” or “Llama maintenance” – I didn’t want the logging to become a burden in and of itself – and that I was fully expecting to see occasional gaps when she took breaks, because we are exempt with flexible hours and allowed to take breaks, so she shouldn’t worry that I’m asking for this in order to scrutinize her hours. I also asked her to include a few sentences of commentary when she sent it to me about if there was anything she felt she was spending too much time on, anything she felt that she didn’t have enough time to properly do, and if there were any tools and resources that would help her work more efficiently. This really helped me understand how she was spending her time, and a few of the general descriptions she’d written I asked her in our check-in to tell me more about how that process goes for her, what kinds of things slow her down or make it go faster. That helped me to better manage her workload because I knew before I assigned something how much of her actual time it was going to take, and how much of her hours per week are eaten up by routine/recurring tasks vs how much time she had available for one-off projects. That in turn also helped me be able to set expectations for her as I got comfortable with knowing how much work she should be able to produce in an average week. 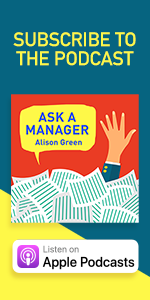 Of course this wouldn’t work as well with an employee you felt you were having problems with, but it was a great tool to help me become a better manager to (and advocate for!) an employee whose work ethic and skill I didn’t doubt. I was able to feel confident that the baseline she was creating for me with this log was an honest reflection of what she could really achieve and not inflated to create lower standards for herself. Also The LW had slightly misstated the issue. They aren’t actually going to be a “manager”, they are going to be a “Boss”. They Overlap but aren’t the same. I highly recommend getting some training. Live classes IMHO are best, but there’s lots of online material as well. Read all the AAM bad boss letters so you know what not to do. That’s good advice, High Score! I actually do follow a similar version of your advice. I’m just a student manager right now, and the first night was me guiding myself by not doing what the toxic boss I escaped from did to me. That, and reading AAM while working on my weaknesses. !!! I sent in a very similar question with a different industry and slightly different staff makeup a few weeks ago! This is so exciting, I’m going to listen and read the comments today with an eye towards myself. So glad the commentariat here is thoughtful and so willing to help. I tried to get the most I could from each employee, identifying their strengths as well as their weaknesses, and also what motivates each person. I had a team of litigation paralegals—not everyone loved discovery, some were better at correspondence and communications, etc. I just tried to empower them as well as I could—that was really rewarding. – a four part course that focused on strategic thinking, coaching high performing teams, leading change, and leading results. This course was specific to my organization, but there were a few generalizable takeaways there: coaching strategies for high performing teams (anything by Peter Jensen is a good start); models of change; frameworks for strategic thinking/forecasting; the eight characteristics of high-performing teams. I’m now starting my 9th year in management, and the best management book I’ve ever read is “Leadership B.S.” by Jeffrey Pfeffer. 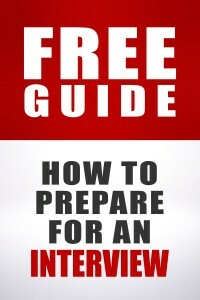 There are a lot of YouTube videos that he’s put together on the subject, but the book was amazingly useful. One of the great lessons in the book is about giving your team a sense of ownership. They had a survey where people were given a choice between Swiss chocolate and a mug–56% went with the mug and 44% with the chocolate. But when they gave the person the mug or chocolate first, and then asked them to swap it for the other item, 11% switched from chocolate to the mug and 10% went from mug to the chocolate. Owning a project is a powerful tool! So every time I’m dealing with a member of my team, when I need to refocus on giving them a sense of ownership in their work, I mutter “mug or chocolate, let them pick” in my head. It keeps me on track. OP, I really want to emphasize a point Alison implied but made a little differently: structure is, paradoxically, what *allows* you to be fun and casual. Because structure keeps employees secure. They want to be able to know how well they’re doing, they want to be able to trust you to give feedback along the way, and they want to understand their employer’s expectations. Without that structure, the employees who will dominate are going to lean away from timely producers, and that’s going to put even more pressure on those who can manage deadlines and deliverables. When I fantasize about what a great manager would be like, I think of this… A great manager clearly and consistently communicates the job expectations to employees, and those expectations are in alignment with company objectives. A great manager is adept at overseeing the workload of her employees, because she understands the time commitment needed and her employees’ capabilities, helps her employees prioritize the workload in alignment with company objectives, and recognizes and respects employee work-life balance. A great manager leverages each employee’s strengths, and provides constructive feedback on each employee’s areas for improvement. A great manager makes employees feel valued and respected, and shows appreciation for employee contributions and achievements. A great manager provides a path for employee professional and career development. Communicating and accepting feedback is the critical skills you want to develop in a small setup. This helps relieve the pressure some find when working closely with ownership. The thing is, you’re not just a manager. You’re an co-owner. You are the top of the heap and people fear giving you feedback even more so than just a department manager! Your staff needs to know they can challenge you if they are respectful and understand you still have the last word. It’s difficult because most are taught to fear authority figures. By showing good judgments and willingness to be flexible when it’s acceptable will earn the respect and good management techniques you are aiming for. It’s late where I live and I’m tired, but there’s one thing I would like to ask of the LW that I don’t think Alison touched on very clearly. LW, you asked how to make sure to balance a small, casual, fun start-up team with being able to be an effective manager and so I beg you, please, for the love of all that is good and holy, remember that work is still work. These people are your employees, not your friends or family. You can be friendly with them and cooperative and warm and kind, but please don’t fall into the trap of trying to be out-of-office friends with your co-workers or assuming that they are (or have to be) as invested in the success of the company as you are. In the end, a job is a job, a means to get money so you can get food on the table and have a roof over your head and all that. Even if you have the best of intentions, even if everyone involved is awesome, blurring this boundary just multiplies the potential for drama and emotional manipulation by a thousand times and it will make your life as a manager so. much. harder. Likewise, while your employees should certainly be encouraged to be friendly with one another, do watch out that they don’t slide from “friendly team” to “cliquey pack”, as frequently happens in “fun, casual start-ups”, because this will sour the well for any newcomers and lead to a very un-diverse workforce. OK: Allowing people in non-client-facing roles to dress business casual or even neat casual (so not completely couch potato, but shirt and jeans are ok). Not OK: Letting people come in super-casual to the point where other co-workers feel uncomfortable being around them. OK: Having a beer or two with your team after hours on Friday. Not OK: Frequent drinks/meals with co-workers in 100% social, non-work-related context, especially if the event only includes some but not all of your staff. Not OK: Co-workers doing this without informing you or while being selective about whose trade requests they accept and whose they don’t (i.e. if Anna will cover OT hours for Jane but never for Tim, then there’s a problem right there that you need to address). Good luck, LW! You are definitely on the right path! I think it’s like parenting – if you are are trying to be a good parent, you’re more likely to succeed than if you don’t even consider how to be better or what good means. So many people just assume they’re doing fine and are shocked when it becomes obvious they’re not. Knowing that “good” requires effort means you have to be self aware and *try*. So the fact this person wrote in tells me that they have an advantage over most new managers. Good luck! One thing I did when I managed staff was to keep a “Thought catcher” for each person. I had notebook with removable pages where I kept my to-do list, notes/brainstorming, and “thought catcher”. Each person I managed had a column on a page which had a box for “notes” and “projects”. In the notes section, I put anything I wanted to ask them the next time I saw them, feedback I could save till a check in, FYIs, etc. This section was a lifesaver–It held me accountable for actually following through on giving feedback and helped me give it matter of factly. I also was upfront with my staff about my work and feedback style. I had to go to a workshop as part of a grant that gave us a worksheet to fill out. I thought it was silly at first, but one of my staff said “I wasn’t going to do this, but I saw in your worksheet that you actually prefer this style of communication”. I had my ah moment. 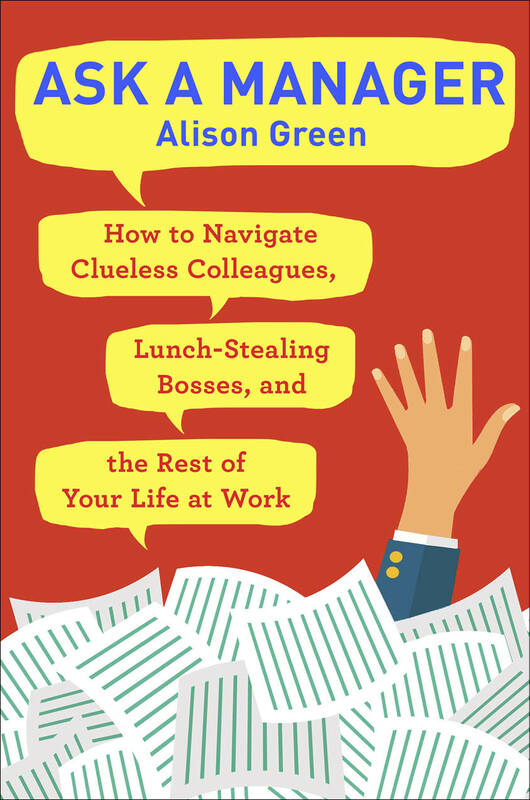 I can’t remember all that was in it, but I think was helpful for me to identify a few notes about the way I work so that my staff. I also had my staff fill out the form (as required by the grant).